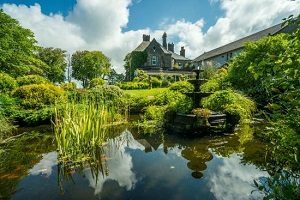 With such a choice of places to stay for just one night, short breaks and holidays in the Lake District. Whether its for adventure, romance or as a family, we’ve selected a few to help you out. 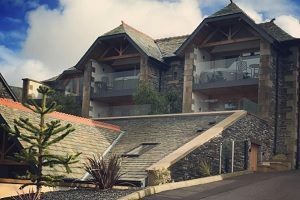 Luxury and exclusivity combined, a one of its kind in the the heart of Windermere – the Lake District. 22 rooms and hot tub suites, views, private parking, delicious food, cocktails and well stocked bar including over 50 single malt whiskies. 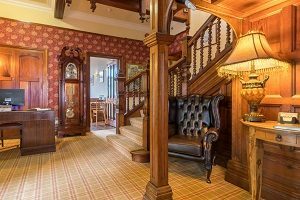 The Langdale Estate which encompasses the 4 Star Langdale Hotel is a one of its kind in the Lake District with the brand new Brimstone Spa, Stove Restaurant and Bar, Wainwrights’ Inn and extensive leisure facilities. Choose from Lakeland Signature through to Ultimate rooms on this private estate. Brimstone Hotel is located on the Langdale Estate and is a marriage of 16 ultra luxurious suites housing jaw dropping bathrooms, gadgets, private balconies and lots of luxury extras. Your Host will provide everything you require for the most Lake District experience whilst having exclusive access to the new Brimstone Spa. 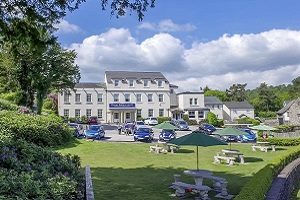 A dog and family friendly hotel overlooking Lake Windermere’s southern tip at Newby Bridge – a location to escape from the rat race. 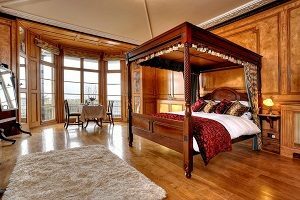 The hotel boasts private leisure facilities, a restaurant and bar as well as a stunning luxury Rotunda suite in the grounds. Do you remember “The Hotel” series on Channel 4 a few years ago? Well this is “The Hotel”! 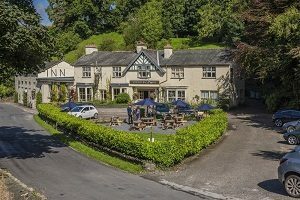 A super location in the Lyth Valley close to Bowness on Windermere, super friendly with brand new family rooms, uber dog friendly and serving locally sourced food in the bar and restaurant. Full leisure facilities too. 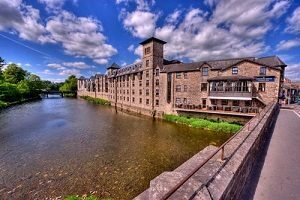 A central Kendal hotel with 58 bedrooms and fabulous riverside setting yet the gateway to the Lake District. Enjoy relaxed food & drink in the Tannery Bar, a full dining experience in the River View Restaurant, private parking and Sanctuary Health Club. 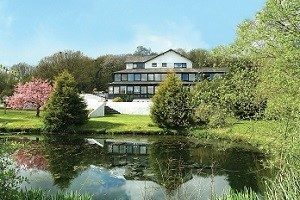 A 27 bedroom hotel overlooking the Cumbrian coast in the Western Lake District ideal for exploring the market town of Cockermouth, towns of Workington & Whitehaven and the fells in this very special region. Hunday Manor has beautiful gardens, a restaurant, bar and superb function suites. A new self catering property in an iconic location. 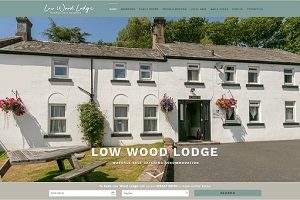 Low Wood Lodge offers self catering in Wasdale in the Western Lake District. For anyone looking to walk Scafell Pike, this is the ideal base with residents dining & drinking just next door at Low Wood Hall. 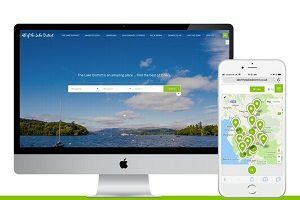 A choice of luxury self catering cottages, lodges and apartments in the Lake District National Park. Search by regio or type and look for where to eat and activities to do whilst staying. Book direct with each operator for the best rate. 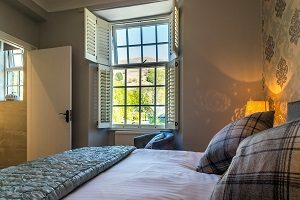 An award winning, modern yet traditional Lake District inn offering B&B accommodation along with delicious, locally sourced and freshly cooked food daily and plenty of real ales too. Dog, children, walker friendly, a place for everyone. “Just” 3 rooms but all wow rooms with views over Morecambe Bay within the delightful town of Grange over Sands. 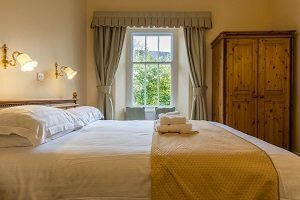 Enjoy the highest quality, the warmest welcome, the most relaxed atmosphere at this B&B, perfect for exploring South Cumbria and the Lake District. Raise View is a superior bed & breakfast in the Lake District’s fastest growing foodie haunt, Grasmere. 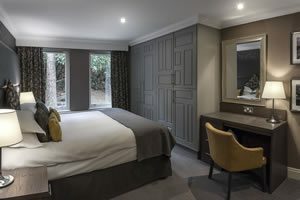 The hosts provide superb breakfasts, an honesty bar in the Herdwick tweed themed guest lounge and sumptuous bedrooms. The Dixon Family welcome guests to their bed and breakfast in Ambleside with many returning year after year. The location couldn’t be better, less than a minute walk to Ambleside shops and restaurants yet with parking, Friendly, affordable accommodation guaranteed. An iconic building in the centre of Windermere, the Lake District. Now given a makeover with light and bright decor whilst keeping the integrity of the architecture. Serving delicious breakfasts and a choice of rooms and a special suite. Serving food and beverages from late morning until late evening daily in the delightful market town of Cockermouth. 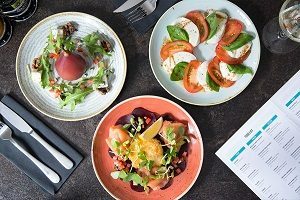 Enjoy coffees, platters, tapas and light meals during the day through to delicious mains and pizzas in the evening and even more delicious cocktails. The new guide to everything to do with visiting, staying, eating, drinking, fun in the Lake District National Park. Browse the very best Lake District hotels, B&B’s, holiday cottages, restaurants and spas. Simply click and book direct with any advertiser.